Raja Dhale, one of the founder-leaders of the Dalit Panthers, never liked the movement’s label. His opposition was not to ‘Panthers’. He disliked what many would consider the soul of the movement: ‘Dalit’. Dhale’s objection may be seen as a display of egotism: The ‘Dalit Panthers’ label had been announced by another Panther leader, Namdeo Dhasal, without consulting Dhale; and the two later became arch-rivals. However, we cannot ignore Dhale’s argument for dis-favouring ‘Dalit’: He felt ‘Dalit’, which means broken in Marathi, refers to someone who is socially disabled (Dhale, 14). Moreover, we cannot ignore the fact that many people who are called Dalits in academic literature, do not use that label, and define themselves in other ways (Marriot, 3751-2). In Maharashtra, many people who are called Dalit, actually resent that label (Paik, 229, 233; Beltz, 218-19). ‘I am a Dalit’ means that the establishment, its class, its religion, its ideology and everything else about it are not acceptable to me. The above declaration itself suggests why ‘Dalit’ is not acceptable to many people who are called by that label. For Raja Dhale and his supporters, ‘Dalit’ had another, more literal meaning, and Bagul’s definition did not reflect the positive self-identity that was secured by ‘Dalits’ who embraced Buddhism. And for people who have risen to status positions—people who have become respected members of the establishment that Bagul rejected—‘Dalit’, obviously, has no positive meaning. Further, in Maharashtra, ‘Dalit’ is generally associated only with one Scheduled Caste (SC) jati, Mahar, and therefore, not favoured by people from other SC jatis (Paik, 230). K: (Stops reading a newspaper) Daughter-in-law! H: (Off) Coming! (Enters) What? K: (Angry) Two feet in nose swot! How many times do I have to tell you? When I call, you have to say ‘Jee’, not ‘what’! What? K: (Happy) That’sthaway! When my mother used to call me when I was small I too would say ‘what’. I’d say ‘what’ and she would scream, ‘Damn you, your two feet in nose swot! Listen to what I say or go screaming away!’ (Laughs loudly) From that time, the habit has formed. Anyone calls me, I say ‘Jee’. Even if it’s a small child! (Stops. Then sternly) You have to say ‘Jee’ too. Understood? H: Kaka, it’s okay if you speak to me like this when I am alone. But at least in front of other people, please don’t speak in this humiliating manner. K: People have to learn how to speak, how to behave! But what can we teach you? We are plainly Bauddha! And you are from a Baman family. And then again, educated! H: (Angry) Kaka, stop mentioning my jati every now and then. H: But I don’t like it at all. K: What? Caste? Or my speaking about it? H: Both! We broke jati barriers and got married. Whose opposition did we not suffer? Parents, relatives, everybody, literally everybody, opposed us. You too. H: For days we were jobless and hungry. Who came to help us? Anyone from the jati or the clan? Even you didn’t look at us for one and a half years! Because you didn’t like the fact that we had got married. K: One should let bygones be bygones! H: That’s what I am saying. But are you ready to forget? In the last six months that you have been living in this house, there’s not a day you haven’t missed mentioning my jati. K: Now the truth breaks out of my mouth. (Provoked by H’s assault) Who likes caste? Who likes it? I worked with Babasaheb! On this very thing! Struggled for thirty-forty years! But did it go? Did jati go? How many years since you’re married? Five! And three or three-and-a-half years since you came to this city for work! But what do the people still say? What do they say? ‘Satish Godghate, professor from the Bauddhas! And his wife, a Baman!’ Every passing by kid peeps into the house. What do they see? H: Let people say what they want to. But you are not people. You are his Kaka (uncle). K: Not any odd Kaka. I am his real, real Kaka. H: Are you not? Then at least you should stop speaking like this (Bhagat 2002, 1-2). Caste and jatis will of course not go away by not speaking about them. But, at the same time, Hema’s plea cannot be dismissed as fanciful or irrelevant. It reflects the effort of many Indians—admittedly, we don’t know how many—to go through life without the jati label that was stamped on them at the time of birth. On the flip side, we see the vigorous use of caste labels in politics. In this arena, incredibly shifting alliances are formed through the terrain of labels. 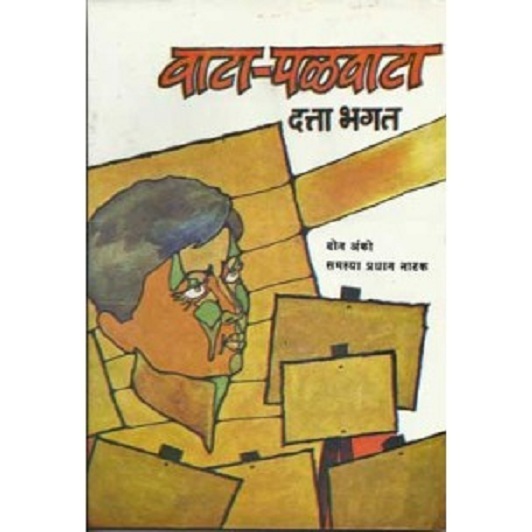 This is one of the many themes running through Datta Bhagat’s first full-length play, Kheliya (Impersonator), and this work is worth considering along with his position as a ‘Dalit’ writer, as these two strands are inter-related, and tell us much about the current play of social-group labels in literature and life. We will first see how these strands emerged in the playwright’s life. Datta Bhagat was born in a Mahar family two years before Independence, in a village close to Nanded, the second largest city in Marathwada, and spent most of his life in that city. 3 His father was employed as a peon, so the family had a regular source of income, enjoyed fairly decent living conditions, and did not suffer any of the terribly humiliating experiences suffered by families of other Dalit writers. Bhagat got the chance to go to a good Marathi school, which had a large collection of books. He became an avid reader, and before he left school, he had a good grounding in modern Marathi literature. Then, in college, he had a Brahmin teacher whom he adopted as his guru: Narhar Kurundkar, one of post-Independence Maharashtra’s progressive public-intellectuals, who used the form of the discursive essay, and plain Marathi, to write about a wide range of issues. Like many other progressive intellectuals, Kurundkar was influenced by Marxist thought. Datta Bhagat acquired some traits from Kurundkar: interest in a wide range of issues, a penchant for objective analysis of social situations, and a love for teaching. Bhagat became a school teacher, and then a lecturer of Marathi in the very educational institution in Nanded where he had studied. He was the first person from an SC jati to get the job in the college, and it was only then that he got his first experience of being identified as a Mahar. A savarna colleague greeted him in the staff room and Bhagat greeted him back, in a conventional way. The savarna colleague then twitted, ‘You should say Jai Bheem!’ ‘Jai Bheem’ is the greeting used by Ambedkarite Mahars (‘Bheem’ is the short form of Bhimrao Ambedkar’s first name). Datta Bhagat told me that the comment was a turning point in his life: he became aware of his caste identity; the bubble of living a ‘casteless’ existence was broken. However, this recognition did not lead to rebellion; it did not pull him towards the Dalit Panthers movement, which had by then gained significant ground. During one of his lecture tours, in one village, he came to know about a young, fiery leader of the Panthers, who had been brought up in a Brahmin household. The story he heard was the seed of his first full-length play Kheliya, written in 1982. In his introduction to the play (Bhagat 2002), he acknowledged the support he received from Tendulkar, Eklunchwar and Satish Alekar, who were associated with the workshop. Notably, in Aavart, Datta Bhagat borrowed from traditional folk forms such as dindi and tamasha, but did not do so later. Rural audiences, he explained to me, could not relate to the use of these forms in a modern stage setting, and urban audiences viewed them as exotica. As for another folk form, jalsa, which was extensively used during the non-Brahmin movement, and in the early days of the Ambedkar movement, it had died before he started writing plays. So, to reach out effectively to a large number of people who went to the theatre regularly, he chose to stick to the mainstream mode of modern, realistic drama. Necessarily, he had to also accept that his audience would mainly be urban, middle-class and non-Dalit. However, these limitations did not frustrate him. For, he told me, his primary motivation to write for theatre was to make best use of the available situation to do samaaj prabodhan, or social awakening, about caste; and in his view, this prabodhan is required across all sections of society. This stand marks a remarkable departure from the dominant discourse on Dalit Marathi literature, which foregrounds protest rather than prabodhan. Further, while Datta Bhagat’s name figures in any comprehensive discussion of Dalit Marathi literature, he told me his writing can be more meaningfully described as ‘caste-conscious literature inspired by Ambedkar’s thought’. The choice of an alternative-label is not entirely original. For example, Yashwant Manohar, a well-known and prolific Dalit Marathi poet and writer, has advanced the label ‘Ambedkarvaadi sahitya’ as an alternative to ‘Dalit’ or ‘Baudh’ sahitya, to signify a clear ideological source and direction (Manohar, 322-3). In the same way, when Bhagat speaks about production of ‘caste-conscious literature’, a term that echoes ‘class-conscious literature’ used by Marxist litterateurs (who also use terms like ‘class-informed’ or, ‘class-engaged’ literature), he means literature that, following Ambedkar, focuses on the role of caste in Indian society, and tries to unpack and unveil that role, towards the goal of annihilation of caste. Theoretically, any person from any jati can produce such literature, and its audience need not, and should not be limited by jati boundaries. This line of thought is reflected in much of Datta Bhagat’s writing; and one result is that none of his plays are exclusively about Dalit lives. Instead, we get a larger picture of Dalit lives intersecting with the lives of people from other social groups. However, the focus lies on Dalit lives. Kheliya (Bhagat 1987), a play that we will now consider, follows the story of a rural Dalit youth called Narayan, though the story is set entirely in the house of his Brahmin master, Bhaskar Deshmukh. Bhaskar Deshmukh belongs to a landed, feudal aristocracy. In medieval Maharashtra, Deshmukhs were hereditary rulers of parts of a kingdom, in charge of administration and revenue-collection. According to the religion, jati, and preference of the king, Deshmukhs were drawn from diverse social groups. However, they were predominantly Marathas or Brahmins. After the establishment of British rule, Deshmukhs lost the political structure that gave them clout; and after Independence, they lost direct control over large tracts of land that they owned. However, they still retained much of their social prestige, and quite a lot of their lands. In villages, they generally continued to be very important people. In all important village affairs, including village politics, they commanded great influence—one of them, Vilasrao Deshmukh, rose from the position of a gram panchayat member to become the chief minister of the state. Living in an unnamed village in Marathwada, Bhaskar Deshmukh basks in the de facto power-position of being a Deshmukh. However, he is acutely aware of the changing times. While he will not let go of any of the prestige and power he commands through indirect but effective ways, he does not remain hidebound by caste. In fact, with regard to traditional caste practices, he is a liberal. Unlike his father Anna, who is highly orthodox, Bhaskar scoffs at untouchability. He has no hesitation in interacting with people from low-ranked Hindu jatis and Muslims, and he does not uphold strong religious beliefs. He is also derisive of some traditional savarna morals; for instance, he has no compunctions about drinking alcohol in front of others. He describes himself as a man moving with the tide of time. But, Bhaskar Deshmukh has not at all imbibed the democratic values underlying the Constitution of India. He does have a deep, practical knowledge of how political democracy works on the ground in his village. But he uses that knowledge to plot and play political games with a singular motive: he should always come out on top; he should always hold all the cards. He has a formidable weapon in his hands: he is trained to be a lawyer. He has no interest or need to pursue law as a livelihood—he treats it as an ‘intellectual pastime’ (ibid, 11). But knowledge of law, and his position as a lawyer, gives him great clout in a village (and country), where people fear the legal machinery more than they fear the law. He is not alone in the local power game. He has two formidable rivals: Hanumantrao, another influential Brahmin, and Shivanand Patil, a politically connected Maratha who allies with Hanumantrao. To counter them, Bhaskar has thought of a devilish, long-term plan. Breaking one of the fundamental barriers of caste, he has brought Narayan, a boy from a poor SC household working on the Deshmukh family’s lands for generations, to live in his home. By that measure, Bhaskar hoped to kill many birds with one stone. He could somewhat satisfy the maternal feelings of his childless wife, Nalu. He could get a full-time, residential servant to do all the odd jobs at home. And by giving Narayan some school-education, he could eventually have a fairly educated Dalit youth-leader working under his instructions. Playing with the Dalit vote in the village has been one of Bhaskar’s games: in an election held two years before the start of the play’s storyline, Bhaskar had engineered a split in the Dalit vote, to the great disadvantage of Hanumantrao. With the Narayan card in his pocket, Bhaskar hopes to go further. As he tells a frequent visitor to his house, Kasare, a Brahmin schoolteacher, he does not want to merely move with the course of times; he wants to give it a completely new twist. With that grand design in his mind, he gives two hoots about Anna, or other savarnas in the village cribbing that the ‘impure’ Narayan is allowed access to all parts of the Deshmukh house, including the place where the family gods are kept. As a young adult, who has been in the Deshmukh house for around eight years, Narayan does not know anything about Bhaskar’s grand plan. For Narayan, Bhaskar is ‘Dadasaheb’, a person to be venerated. At the same time, Narayan is aware that, while he has been brought up in a Brahmin family, he can never be one of them. But this does not perturb him. With his Dadasaheb behind him, he is a picture of self-confidence, and assertion, as we can make out from a conversation between Narayan and Kasare. Kasare is, by his own description, a thick-skinned Brahmin who does not agree with Bhaskar’s liberal views on caste practices, and he is always looking for opportunities to show Narayan his ‘place’ in society. The following conversation, which takes place in the Deshmukh house, starts with Kasare (K) asking Narayan (N) about a book Narayan is reading. N: (Answering K’s question) It is a biography of Shahu Maharaj. K: Whose book? Dhananjay Keer’s? K: I know that. But who is the author? N: (Reading the cover of the book) Dhananjay Keer [savarna journalist who wrote biographies of Phule, Ambedkar and Shahu, as also Tilak, Gandhi and Savarkar]. K: Didn’t I tell you that? K: We have it in school. N: You may well have. K: What do you mean ‘may’? I sent the money order for buying the book for the school. Dhananjay Keer was a very great man! You are reading him? K: Read, read. That’s good. I haven’t yet read the book. But Shahu Maharaj was a very great man. K: Bhaskar—your Dadasaheb—has told you to read. Read, read. (After some time) But how will this be of use to you? K: This book! Are there going to be questions about it in the SSC exams? K: Then why are you reading it? (Pauses) You want to become an intellectual? K: You want to become an intellectual? Like the man who is considered the leader of your community—one cannot even mention all his degrees in one breadth: MA, PhD, BSc, Bar-at-law [reference to Ambedkar, and the string of his educational qualifications often displayed along with his name by Dalits]. K: But first pass the SSC exams, what? N: I will pass the SSC exams, won’t I, Guruji? K: You will! You will pass. But what will you do with an SSC certificate? It’s no longer like the old times! Now there are graduates in every lane and bylane. K: Then why become a matriculate? K: He may say a hundred things. But don’t you have some intelligence of your own? Arre, why do we need this meddling with education? Maartya, your father, hasn’t he become old and weak? N: He can’t see well. N: She is very weak. K: And you are studying for SSC. Who is going to take care of them? What’s your age? N: Must be around eighteen. K: If you had got married, you would have been the father of two. And you are studying for SSC. Arre, Ambedkar was of your community. He used to carry the burden of the entire Dalit community of the country! And you can’t take care of your own parents. N: (Sufficiently inflamed with irritation) Guruji, did my father meet you? N: In the last eight or ten days? K: Arre, whatever I am saying is for your benefit. N: Guruji, give me the advice when I come begging to your door (ibid, 5-7). Narayan’s hopes of becoming a highly educated person are, however, thwarted by Bhaskar, as part of a plan to frustrate Shivanand Patil. The latter had been eyeing the land owned by a poor widow. She could get ownership of the land due to the efforts of Bhaskar’s father, Anna. To get back at Anna, Shivanand Patil has his men trouble the widow every day, to prevent her from cultivating the land. In desperation, the widow decides to sell the land to her tormentor, Shivanand Patil. Hearing about this, Bhaskar steps into the picture, and through some smart moves, makes Narayan the buyer of the widow’s land. Abandoning his education plans, Narayan starts cultivating the land. With an asset and a livelihood, Narayan begins to stand on his own feet. He also starts to look into village affairs—such as, the barely functioning village school run by a private body headed by Shivanand, who pockets all the government grants he gets for the purpose; and a ration-shop owner who sells sugar in the black market. Narayan wants to initiate action against these crimes. Bhaskar is not supportive initially—he wants to be sure that Narayan has the backing of the people of his social group. Subsequently, Bhaskar plots victories for Narayan in both cases. Narayan even gets the license to run the ration-shop. J: When Dadasaheb arrives, should I fall on his feet? N: (Peering into J’s eyes) Why? J: (Avoiding N’s gaze) If you want, I’ll prostrate myself before him. Whatever it is, let me know in advance. I shouldn’t suffer a backdoor insult. N: You think doing a namaskar to the lady is an insult? J: I did a namaskar. J: What do I know? N: What is there to know about that? J: Why didn’t you tell me beforehand? N: Beforehand means? (Dadasaheb enters, but stops abruptly at the door—N and J have not seen him). J: Before we came here. And what do you think? That I should act without self-respect because I need a job? That I should fall on the feet of anyone you say? That I should prostrate myself before all? I am a Panther! N: Jagan! Nalu madam is not one of ‘all’. Dadasaheb is no stranger. This is my home. And falling on the feet of elders in the house is not acting without self-respect. J: The man is a Brahmin! And you say he is one of the elders of our home? J: Don’t shout. You are not educated. You won’t understand this. This is Brahmin craftiness [The phrase in the source-text, Brahmani kasab, is the title of a book by Jotirao Phule]. N: And if that’s what one has to learn in college, it’s good that I didn’t go there. N: You won’t meet Dadasaheb? J: Will I get a job if I fall on his feet? N: If you are definitely going to get a job, will you fall on his feet? (Pauses) Think about it. You are a Panther! J: Narayan, don’t feel bad. But the fact is, these savarna folks behave hypocritically only to ensure that we people keep bending before them. N: Is this softness driven by an ulterior motive? By the hope of getting a job? (Calmly) Jagan, Dadasaheb has no job to offer. J: Arre, I am asking you to be fearless. And you… ? Learn to be a bit upright! N: Being rude is being upright? J: Then is self-deprecation politeness? I don’t want to meet your Dadasaheb. I am a Panther. (Strides away) (ibid, 19-20). Bhaskar decides to teach Narayan a lesson. He decides to take up Sailu’s case, as his defence lawyer. Further, though Narayan’s complaint is valid, and Sailu admits guilt, Bhaskar manipulates witnesses and evidence in such a way that Sailu is acquitted. One of the witnesses who testifies in Sailu’s favour is Jagan, the self-declared Panther; Bhaskar bought him off for a few hundred rupees. …I used to look up to you. But it’s good that I came to my senses very early. Dadasaheb, you should have realised that this was a first of its kind case in the village. To start with, Dalits don’t dare to take such a step. I did. I assumed your support. But do you know how much harm you have done to Dalits by taking up Sailu’s case? You broke their backs. Now they will think ten times before filing such a case. They won’t have the guts. Dadasaheb, if you had harmed me, it would have been okay. I would have endured it meekly. But you harmed a poor community. You killed an ideology (ibid, 64). Bhaskar is unfazed. His public stand, which he conveys to Narayan, is that Sailu had hired him as a lawyer, and all that he did was what every lawyer should do: make the best case for his client. Though embittered and disillusioned, Narayan does not react violently. In fact, he warns a mob of Dalits angered by the court judgement, to stay away from the Deshmukh house. But defeat in the Sailu case does not deter Narayan. On the other hand, it motivates him to emerge as a player in his own right. He takes the battle-game forward, straight into the Deshmukh household. He organises an agitation of non-Buddhist SC groups to gain entry into a village temple that has been out of bounds to them. He knows well that savarnas like Bhaskar’s father, Anna, will bar the SC agitators’ entry into the temple. It is just the reaction he gets. Narayan ensures that a case is filed against all those barring entry of SC persons into the temple, with Anna named as one of the prime accused. In this situation too, Bhaskar tries to come out on top. He responds to Narayan’s move with a stunning counter-move: he announces that he will appear in court on behalf of the SC agitators, and against Anna, his own father. By now, the battle lines in the village have become complex. As a new and energetic actor in the local politics, and that too from an SC background, Narayan has raised the hackles of Hanumantrao and Shivanand Patil, Anna and other tradition-bound savarnas. Narayan has also angered many people from his own community: they view him as a troublemaker, who is disturbing the well-set social and economic arrangements that give them some livelihood. One night, at a desolate spot near the village, Narayan is attacked by some unknown persons, and hacked to pieces. The killers remain untraced. Kheliya ends on that abrupt and unsettling note. Whether Kheliya actually provokes such thought is something that can be determined only by seeing a performance of the play. What we can consider here is the printed text, and how it represents caste. Bhaskar is, with respect to traditional caste practices, a liberal, but that is not because he rejects the ideology of caste. His rejection of caste practices is only strategic; he has, in fact, scant regard for human beings. As he tells Anna, he views Narayan purely as an ‘animal called man’ in an ‘experiment’ of his design (ibid, 61). On the other hand, Anna is highly caste-bound, but as Narayan recognises, he has an admirable quality Bhaskar lacks: Anna is true to his word. Openly anti-Dalit, he is less harmful to Dalits than people like Bhaskar, who ‘speak for our welfare but kill us by their deeds’ (ibid, 65). Jagan is a Panther, brimming with anger. But he does not have a strong moral core that can make him spurn the offer of giving false evidence in court; he cannot recognise the damage he is causing to the cause he is supposedly fighting for. As for Hanumantrao and Shivanand Patil, even the thick-skinned Kasare thinks they are ‘maggots stuck to society’ (ibid, 33). Narayan himself is no model of virtue. After he gets the license to run the ration-shop in the village, he arranges to send a sack of sugar to the Deshpande house as a gift. He explains to Nalu that he did not obtain the sack by short-changing or turning away any of the ration-card beneficiaries; he simply ‘managed’ to get a higher sugar quota from the supply office. In his estimation, he did no wrong—since he did not cheat any needy person he knew. Another striking feature of the text is its delineation of how caste works within, and subverts a modern political and legal system—that is, in theory and principle, not rooted in caste. The system provided Narayan with an opportunity not had by ‘untouchables’ since the time they were categorised that way: He could demand justice against the practice of untouchability. But the system did not give him justice. This paradox shows, in an indirect way, a fundamental limitation in the modern conception of the Indian State imposed on a non-democratic social order. A lawyer and constitutionalist, Ambedkar put his weight behind the creation of such a State, and helped frame its Constitution as a guarantor of rights and justice. As his last address to the Constituent Assembly shows, Ambedkar was acutely aware that the adoption of the system of political democracy would not automatically lead to the formation of a democratic society (Ambedkar 1994, 1214-18), and in the very first years of the working of the system, he saw that it was being subverted to preserve the traditional social order (Keer, 432-4, 456-7). However, he did not bring himself to a call for revolution. Instead, he advocated the path of the Buddha, in a statist way: In the way he interpreted Buddha, not just people, but the State itself would change; it would be an upholder of Dhamma (Ambedkar 1972, 226). That is a distant ideal, and people like Narayan are left with a State that promises justice. Even though it keeps up to the promise in some cases, it does not uproot the pillars of injustice, and gives spaces for the protection of the unjust. All the characters in Kheliya recognise that Bhaskar took up Sailu’s case only to show Narayan his ‘place’ in the socio-political order. They also know that Bhaskar won the case by cheating—by bribing key witnesses to give false testimonies. Yet, all the characters, including Narayan, accept the court verdict. Within the discourse on a modern democratic State, they have to. Those who follow the discourse have to live with reason for hope, as well as despair. The Dalit Panthers refused to despair, and expressed anger that led to violence. But in Kheliya, Datta Bhagat clearly does not endorse the path they took. 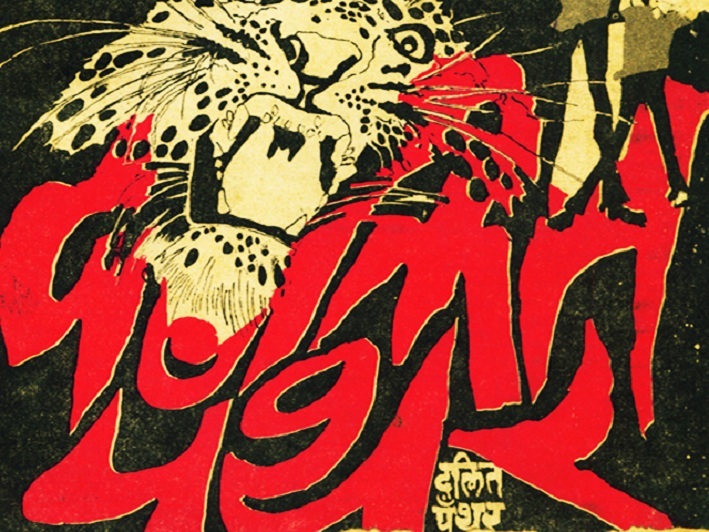 Through the deus ex machina of Jagan becoming a turncoat—for reasons unexplained—Datta Bhagat influences the reader to reject the Dalit Panther movement, though in the introduction to the play he spoke admiringly about its ‘historic work’ (Bhagat 1987, xi). While Kheliya shows the limitations of the discourse on the Indian democratic State, Bhagat does not position himself out of the discourse, or in opposition to it. Firmly positioned in that discourse, Datta Bhagat recognises that its interplay with a non-democratic social order limits the scope for political theatre. Theoretically, he explained to me, the State gives him the freedom to write a play on the Naamantar issue. However, he felt that the non-democratic social order will not be able to embrace the performance of a forthright play on the subject. Years after the issue apparently got resolved, it can arouse passions, and the State apparatus can justifiably step in to prevent a law-and-order problem, by preventing the staging of the play. Should a writer accept this state of affairs or challenge it? Datta Bhagat’s choice is the first option, but with a rider, and an explanation. According to him, if a writer wants to do samaaj prabodhan, Naamantar and many other politically sensitive issues are not good subject-choices for theatre, as these will generate more heat than thought. However, that does not mean the writer should evade the issues. Rather, he should look for strategic alternatives. One option, with reference to Naamantar, is to locate the issues in a historical play—such as a play on the Gandhi-Ambedkar divide, which provides material for more than one play. In a conversation with me, Datta Bhagat expressed several other opinions that do not fit within the standard discourse on Dalit literature: as the consumer for modern literature is the middle-class, the majority of the audience for Dalit literature will always be non-Dalit…While ‘Dalit’ refers to a distinctive ideology that needs to be disseminated widely, trying to build a unique, all-India Dalit cultural identity, on the lines of Afro-American identity, is like pursuing a mirage: Unlike America’s Blacks, Dalits do not have cultural and historical roots that are far apart from the roots of mainstream society… protest literature is not the only kind of political literature required; political literature is also required for the purpose of education, about conflicts and underlying causes. At the outset, he acknowledged the honour bestowed upon him, and his belonging to a tradition of Marathi theatre studded with many great personalities, including a well-known savarna dramatist Ram Ganesh Gadkari, who was never made the president of the natya sammelan. Then, Bhagat acknowledged belonging to a tradition of theatre in Marathwada, created by many people whose contributions have not been recognised. Then, he identified himself as a Dalit theatre person; a member of Nanded’s theatre community; a beneficiary of a historical movement for social justice carried out for a century in Maharashtra; and as a contemporary of playwrights Tendulkar, Eklunchwar and Satish Alekar. After dwelling at some length on the need for Dalit theatre writing, and the challenges of writing political drama in India, he moved to other topics: Maharashtra’s border dispute with Karnataka, and how litterateurs could work to build constructive inter-state relations; and the need for taking measures to strengthen the theatre movement in Maharashtra, provide financial support to needy and aged theatre professionals, develop a theatre industry in Marathwada, and establish drama and music departments in the Swami Ramanand Teerth Marathwada University at Nanded. Considering the post he was occupying and the prestige it carries, Bhagat was probably expected to speak on many different issues. However, he was clearly not playing to the gallery. He didn’t broach several hot media-topics of the day (farmers’ suicides, floods in Mumbai…), and on each issue that he spoke, he expressed a personal viewpoint. Indirectly, his speech suggested that he could not be defined only by a Dalit social identification: He wanted to claim a bigger platter. The claim reflected his life-position: educated, and employed as a pradhyapak, including a ten-year stint as professor of Marathi at the Babasaheb Ambedkar Marathwada University in Aurangabad, Datta Bhagat was a respected member of the urban middle-class. At the same time, one can hardly overlook the fact that Bhagat’s literature stemmed from his caste position, all the writing that brought him into the limelight is entirely about caste, and his mission as a writer is the production of ‘caste-conscious literature inspired by Ambedkar’s thought’. It is to be also noted that, though Bhagat does not prefer the word ‘Dalit’ to describe his literature, he does not object to the use of the term, and even defends it vigorously, as he did in response to the critical acclaim accorded to Raghavvel, the first of a three-volume, semi-autobiographical novel by a first-time writer from the Mang jati, Namdeo Kamble. The book, which got the Sahitya Akademi award for Marathi literature in 1995, raised a basic question: Could it be considered an example of Dalit literature merely because it was written by a person from an SC group, and he tells the story of an SC family? 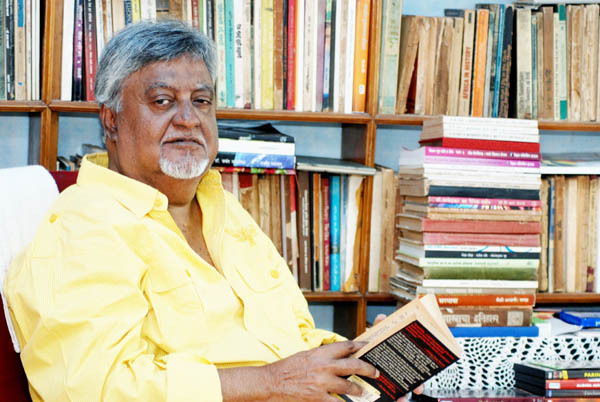 The author answered stoutly in the affirmative, and, his publisher went one step further, stating that Kamble’s effort had given a new direction to Dalit literature (Kamble, 2-3). But, Datta Bhagat, along with several Dalit litterateurs, refused to accept this view. In a lengthy review of Raghavvel, Bhagat argued that while Kamble’s book is moving, it is limited by the fact that neither the protagonist of the novel, nor its author, shows any desire to challenge caste. Raghu’s story is the common story of young people of low-ranked jatis, who demonstrate no political consciousness other than some loosely held political views; and who try to up their living status by all means available to them. As the story of a representative of this category, Raghu’s story is valuable. But, Bhagat argued, Raghu lacks consciousness about the mechanism of caste, and the author himself displays it in only a facile manner in the second and third volumes; as such, his work contributes nothing to the cause of annihilation of caste (Bhagat 2010, 66-100). Bhagat’s critique completely ignores the reader, who can bring into a reading of Raghu’s story a consciousness that Raghu and his creator apparently lacked. One can also question his argument from other flanks—for example, would Bhagat have raised the same objection if the creator of Raghu’s story had been from the Mahar background? However, the moot point here is something else: though Bhagat apparently finds the ‘Dalit’ label limiting or inadequate, he is also emotionally attached to its meaning and relevance—and he, therefore, launched a defence against its perceived dilution. This paradoxical action is fundamentally different from the calculated, selfish maneuvering of Bhaskar Deshmukh, but both actions are possible due to a common condition: whereas social-group labels had largely fixed meanings and roles in the past, many group labels today have differing salience and meanings in different contexts. Differing engagements with ‘Dalit’—of differing interpretation, intensity, proximity and distance—are part of this process of social flux. But the process is not uniform. Bhaskar Deshmukh can flit across several labels, but from his caste and class position, Narayan does not enjoy this privilege. Kheliya reminds us that the position accruing from the ‘Brahmin’ label can provide opportunities to exert dominance, but ‘Dalit’ can get you killed. Those who seek to move away from labels have to recognise this stark asymmetry, as Datta Bhagat did. 1. All cited text is translated from Marathi by me. 2. Non-standard English is used for Kaka’s dialogues, to reflect non-standard (‘rural’) Marathi in the source text. 3. Details of Bhagat’s life and work that follow, and quoted statements, are from two extended conversations I had with him in Pune in January and February 2015. 4. An English translation of the play, available in Mee 2002, is used as study material in many university courses. 5. 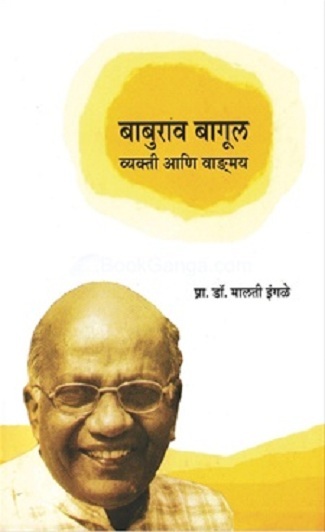 Published by Akhil Bharatiya Marathi Natyaparishad, Mumbai, in 2006. Ambedkar, Babasaheb. 1994. Dr Ambedkar: The Principal Architect of the Constitution of India, Dr Babasaheb Ambedkar Writings and Speeches. Vol.13. Mumbai: Education department, Government of Maharashtra. ————. 1974 . The Buddha and his Dhamma. Mumbai: Siddharth Publication. Bagul, Baburao. 1981 . ‘Svagat’ (Soliloquy). In Baburao Bagul: Dalit Sahitya: Aajche Krantividnyan (Baburao Bagul: Dalit literature: Today’s science of revolution). Ed. 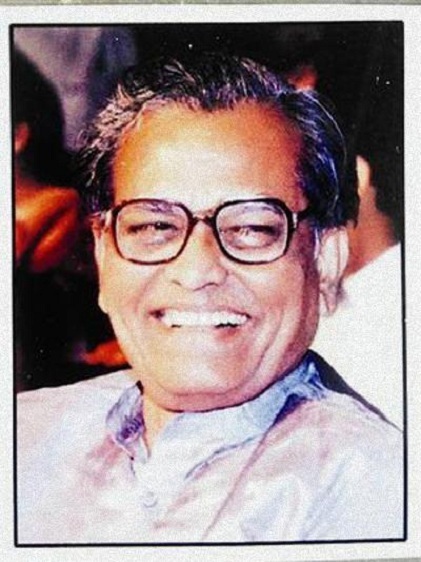 Madhukar Taksande. Nagpur: Buddhist Publishing House. Beltz, Johannes. 2005. Mahar, Buddhist, and Dalit: Religious Conversion and Socio-Political Emancipation. New Delhi: Manohar. ————. 2010. 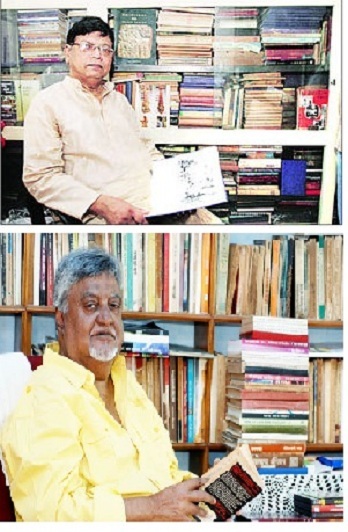 Samkaleen Sahitya aani Sahityak (Contemporary literature and litterateurs). Aurangabad: Rajat Prakashan. ————. 2002 . Wata Palwata. Pune: Continental Prakashan. ————. 1987. Kheliya. Pune: Continental Prakashan. Dhale, Raja. 2012. 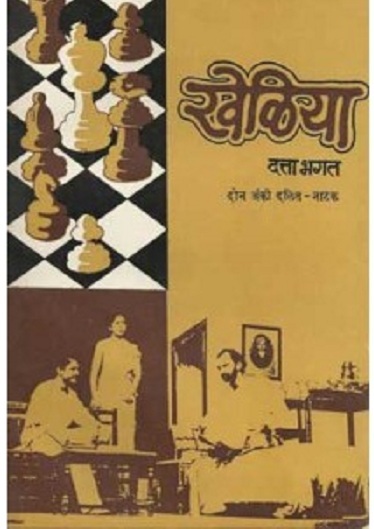 ‘Raja Dhale hyanchi mulakhat’ (Interview of Raja Dhale). Khel 23. Pune: Khel Prakashan. Kamble, Namdeo.1996. Raghavvel. Pune: Deshmukh & Co.
Keer, Dhananjay. 2002 . Dr Ambedkar Life and Mission. Mumbai: Popular Prakashan. Manohar, Yashwant. 2012. 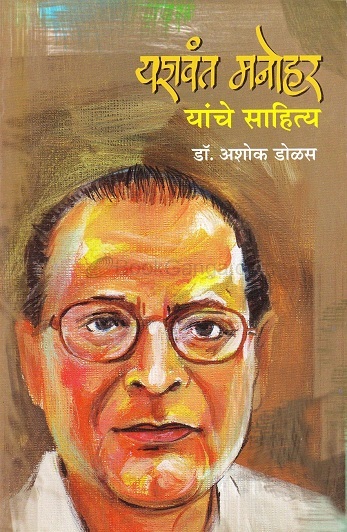 Ambedkarvaadi Marathi Sahitya (Ambedkarite Marathi literature). Nagpur: Yugsakshi Prakashan. Marriot, Alan. 2003. ‘Dalit or Harijan? Self-naming by Scheduled Caste interviewees.’ Economic and Political Weekly 6 Sept: 3751-2. Mee, Erin, ed. 2002. Drama Contemporary: India. New Delhi: Oxford University Press. Paik, Shailaja. 2011. ‘Mahar–Dalit–Buddhist: The history and politics of naming in Maharashtra.’ Contributions to Indian Sociology 45 (2).